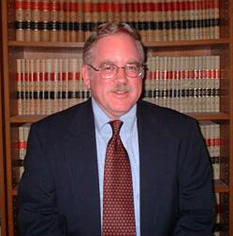 Steven W. Baker has practiced Customs and International Trade Law in the San Francisco Bay Area since 1974. Mr. Baker is a past Chair of the Customs Law Committee of the American Bar Association; a Director of and Customs counsel to the American Institute for International Steel, Inc.; and a Roster member for NAFTA Chapter 19 Dispute Resolution. He has held the rating of AV Preeminent from Martindale-Hubbell, the leading Law Directory, for more than 30 years. Mr. Baker is a member of various national, state, and local bar associations, and the American Society of International Law. He regularly speaks to and writes materials for customs broker and import industry associations, and has published a long running series of articles on Customs compliance issues. Mr. Baker is a graduate of the University of California-Hastings College of the Law. Mr. Baker was a partner in the firm of Bellsey and Baker from 1978 through 1995, and the Principal of Steven W. Baker and Associates from 1996 to 2006. He is continuing his Customs and International Trade Law practice in the Law Offices of Steven W. Baker. Mr. Baker has extensive experience in textile and apparel issues, footwear, food stuffs, steel trade issues, and computers, electronics, industrial products, and transportation equipment.